Senator Richard Alloway II was elected to his first term in the Pennsylvania Senate in November 2008. Senator Alloway represents the 33rd District, which includes all of Adams County and portions of Cumberland, Franklin and York Counties. 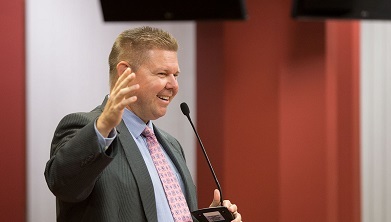 Senator Alloway serves as a member of the Senate Republican leadership team as Majority Caucus Secretary, where he is responsible for overseeing and careful review of all executive nominations submitted to the Senate for confirmation.